American publication The Cut has taken down an article about actress Priyanka Chopra’s December 1 wedding to musician Nick Jonas after a severe backlash over the piece’s racist and sexist tone. 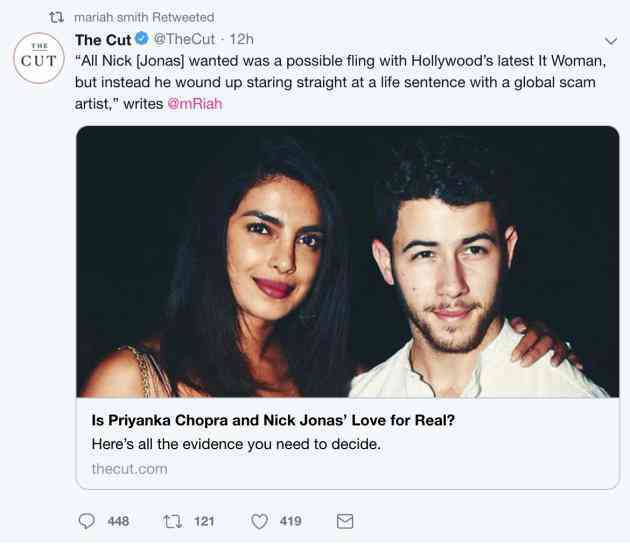 The article, first published on Tuesday and written by Mariah Smith, was headlined “Is Priyanka Chopra and Nick Jonas’s Love for Real?” The article called the Indian actress a “global scam artist” and insinuated that she had ensnared Jonas to build her career in Hollywood. Following widespread criticism, the website published a watered-down version of the article on Wednesday evening, removing the specific allegations against Chopra and simply chronicling the lead-up to their wedding. 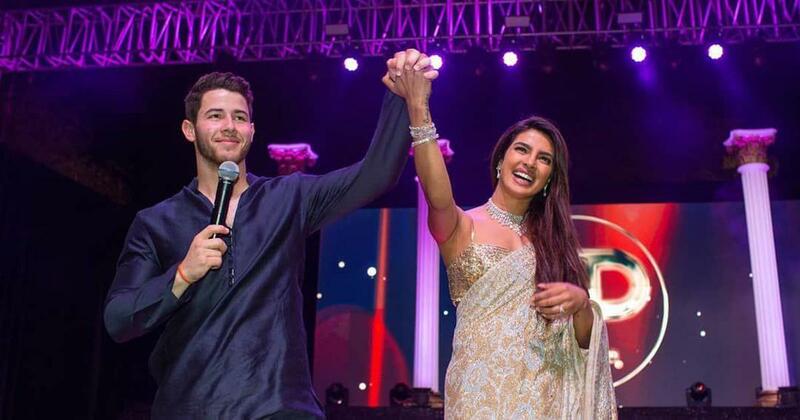 “Priyanka Chopra and Nick Jonas are both superstars. But is their love real? I have some thoughts,” read the revised introduction. While the article’s earlier conclusion urged Jonas to find the horse on which he entered the wedding venue and “gallop away as fast” as he could, the new version offered a more generic take. “While this wedding and its trappings may feel familiar to other extremely public celebrations of celebrity love, well: We all know those marriages turned out,” it said. The following screenshots dug out from the Wayback Machine, a digital archive of the internet, show some of the offensive bits that were removed from the article before it disappeared.